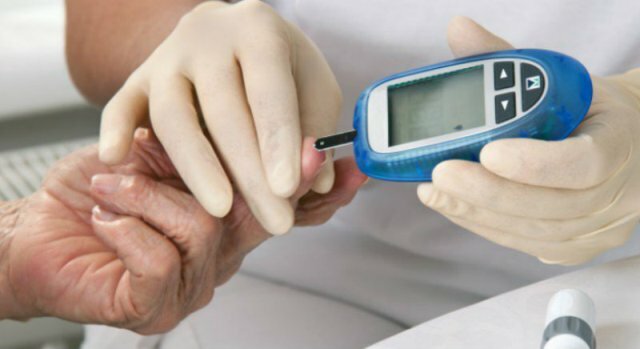 Agency, 17 December : Diabetes has been tied to a number of complications such as kidney disease, but new research has found that older people with type 2 diabetes can also have more difficulties with thinking and memory. During a five-year study, participants with diabetes showed a decline in verbal memory and fluency. Using MRI scans, researchers saw that the participants’ brains were smaller at the start of the study — but the rates of decline in brain size did not differ over the years the patients were followed. The investigators didn’t find a connection between brain size and the thinking and memory troubles. “Although memory and executive function [thinking and planning skills] declined at a greater rate in people with type 2 diabetes, this was not explained by a decline in brain volume,” said study author Michele Callisaya, a research fellow at the University of Tasmania. Callisaya said the researchers were surprised by this finding. They expected that decreased brain volume would have been more common in people who were having memory and thinking issues. But she added that it’s possible over a longer time, a relationship between these factors might become evident. Past research has found that having diabetes might double a person’s risk of dementia, the researchers said. Although previous studies have shown the connection between the two conditions, none has proven a cause-and-effect relationship. That’s what prompted Callisaya and her colleagues to look at whether or not a loss of brain volume might be behind the connection. Verbal memory is the ability to recall words, and verbal fluency is a measure of thinking and planning skills. People who have problems in these areas might forget people’s names or have trouble finding things more frequently, Callisaya said. People who have trouble in verbal fluency might have difficulties with planning, initiating and organizing things, she added. The MRI scans showed that people with diabetes had smaller brain volume at the start of the study than people without the blood sugar disorder. But Callisaya’s team saw no evidence that brain size was directly related to the declines in thinking and memory. Dr. Joel Zonszein, director of the clinical diabetes center at Montefiore Medical Center in New York City, agreed the study didn’t show any correlation between brain size, diabetes and thinking and memory troubles. Zonszein said the differences in the two study groups may have played a significant role in the study’s findings. He said the people in the diabetes group were heavier, and had higher cholesterol and blood pressure than people in the other group. “The take-home message to me is that good early control of all of these risk factors — blood sugar, cholesterol, weight and blood pressure — is important, along with getting good, regular exercise. People who have these risk factors have a higher risk for cognitive decline,” he said. Callisaya agreed. “What’s good for the heart is also good for the brain,” she said. In addition to a healthy diet and regular activity, she also recommends to stay social and to keep challenging your brain.